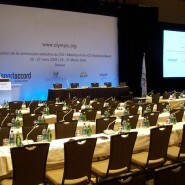 > 1500 representatives from 104 international sport federations. 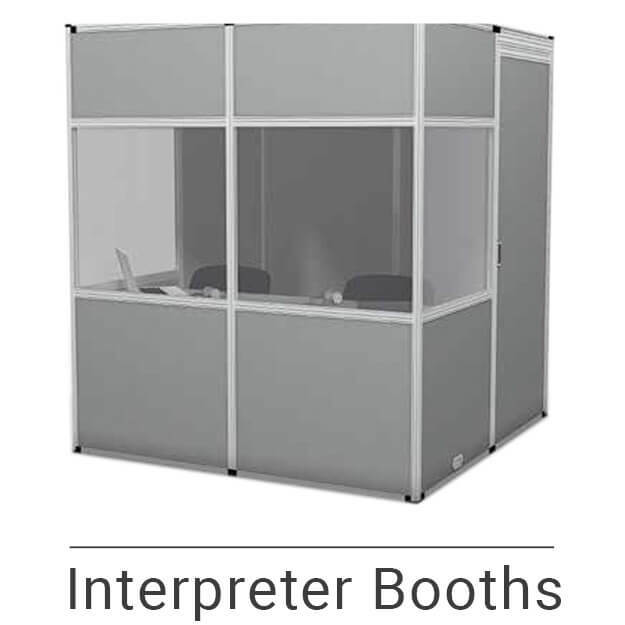 > Interpretation in 2 to 3 languages. 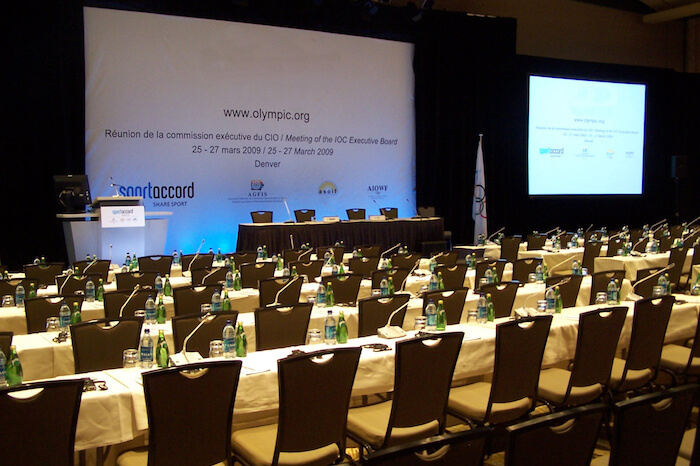 Conference Rental provided conferencing and simultaneous interpretation equipment for the 2009 SportAccord Convention, the first to be held in North America. 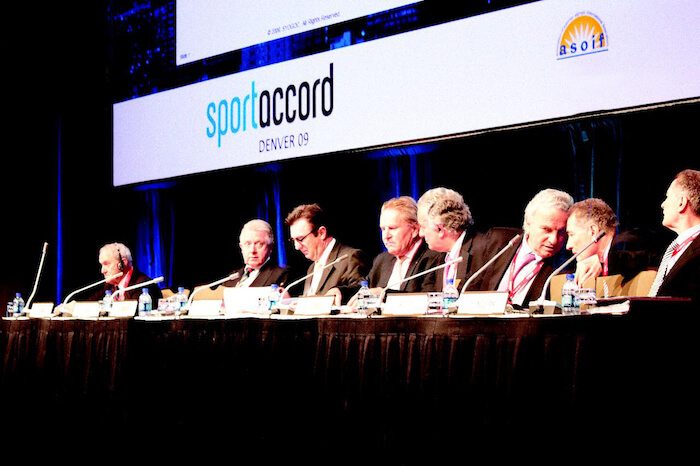 SportAccord is a key event on the international sporting calendar encompassing the Congress and General Assemblies of over 100 international sports federations. 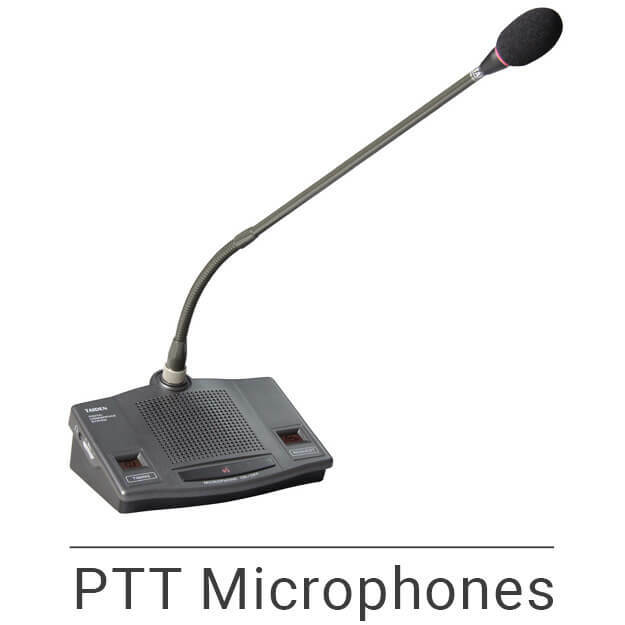 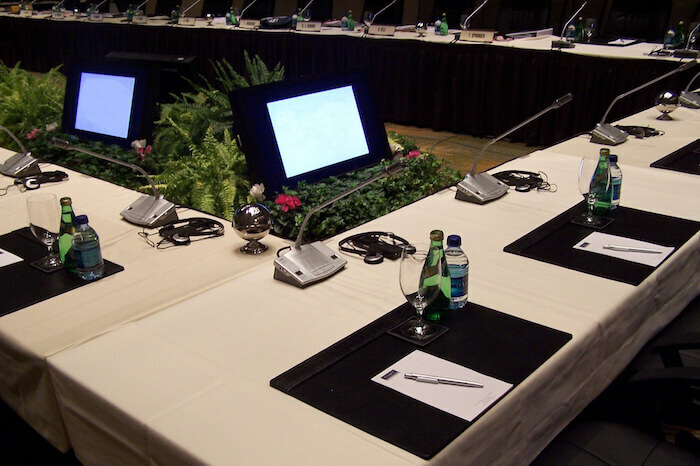 Conference systems were installed in 6 rooms while 3 of them had simultaneous interpretation: the General Assembly, the Press Room and the IOC Executive Board Room. 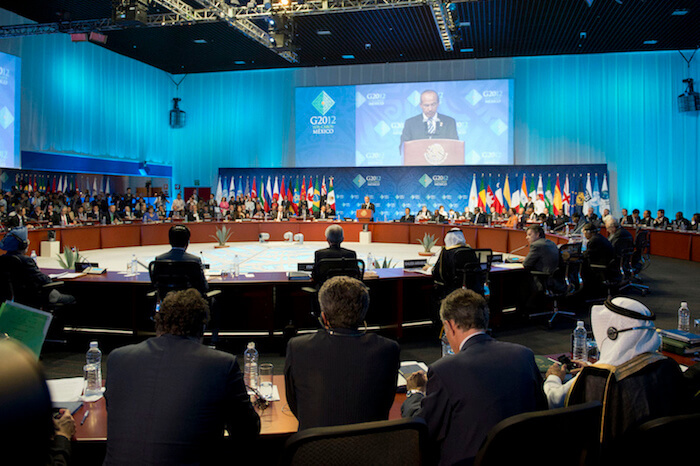 The President of the International Olympic Committee was in attendance in Denver. 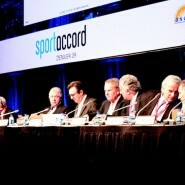 Guest speakers also included sport legends such as Andre Agassi. 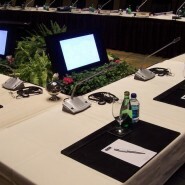 The non-confidential portions of the meetings were broadcasted live on the web in multiple languages. 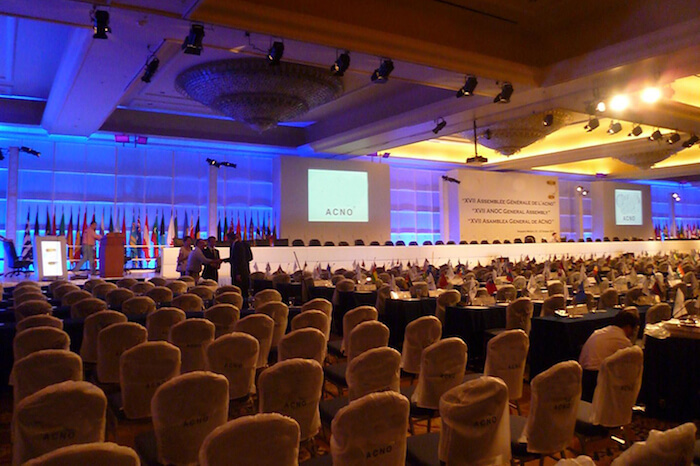 Extensive design and planning went into this event and the Conference Rental engineers onsite demonstrated superior technical skills. 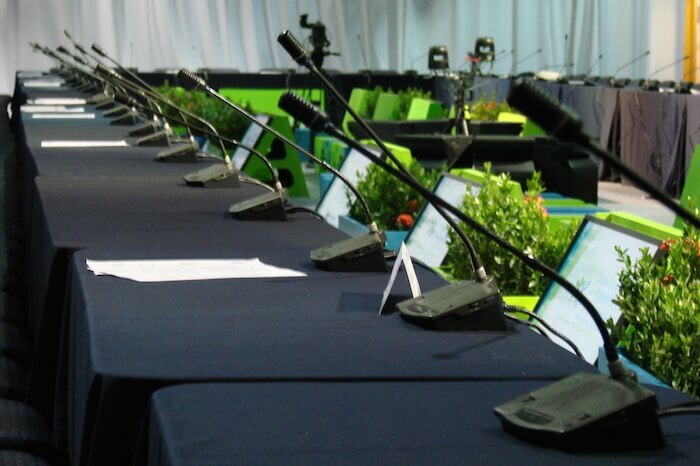 All organizations onsite were very pleased with the outcome.